It's Ariel the Little Mermaid! 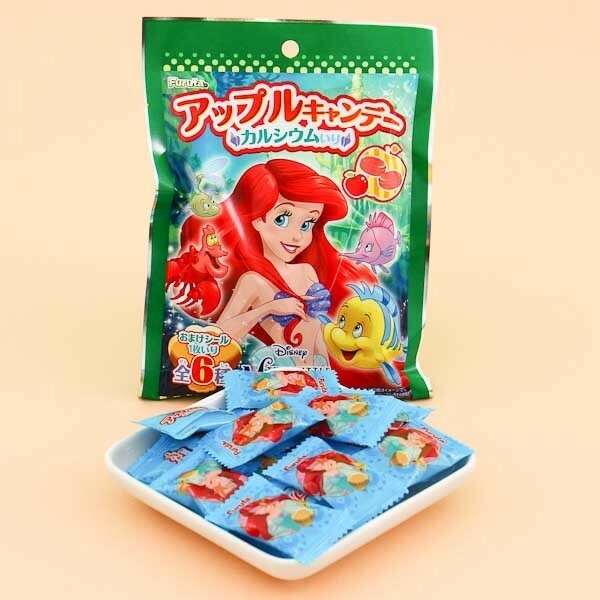 Dive into the depths of the oceans and enjoy these apple flavored candies with Ariel and her marine friends! 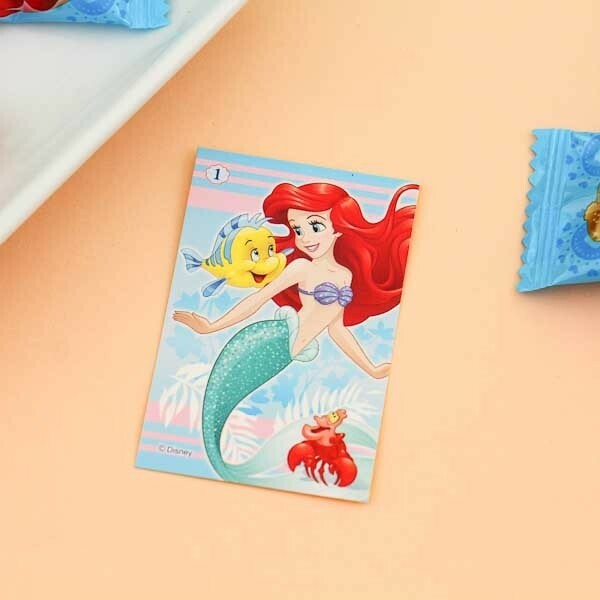 Let the crunchy candies slowly melt inside your mouth while you wonder at the sights of the undersea world. 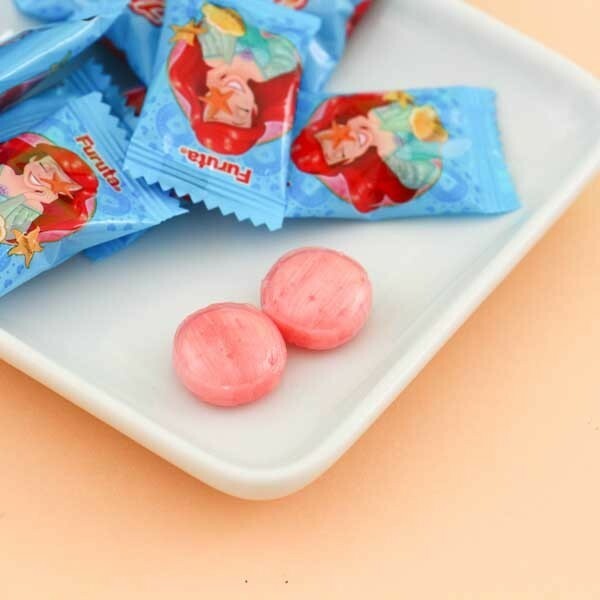 The individually wrapped candies come in a handy bag that you can use to share them with your friends. 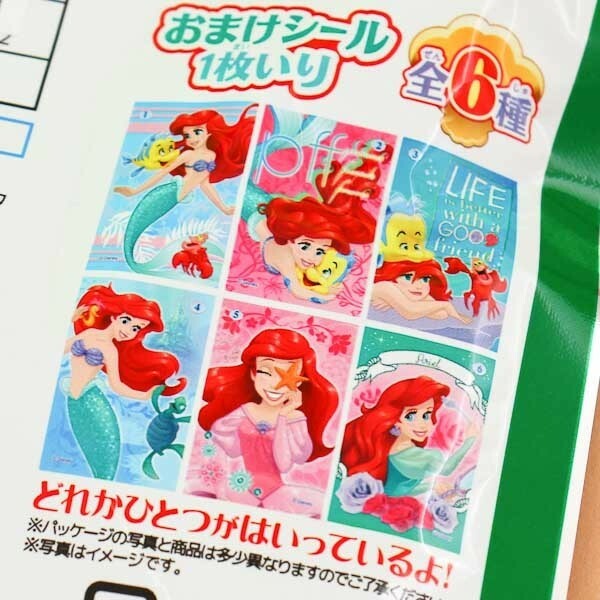 The package also comes with 1 random Little Mermaid collectible sticker out of 6 different options. Yummy!